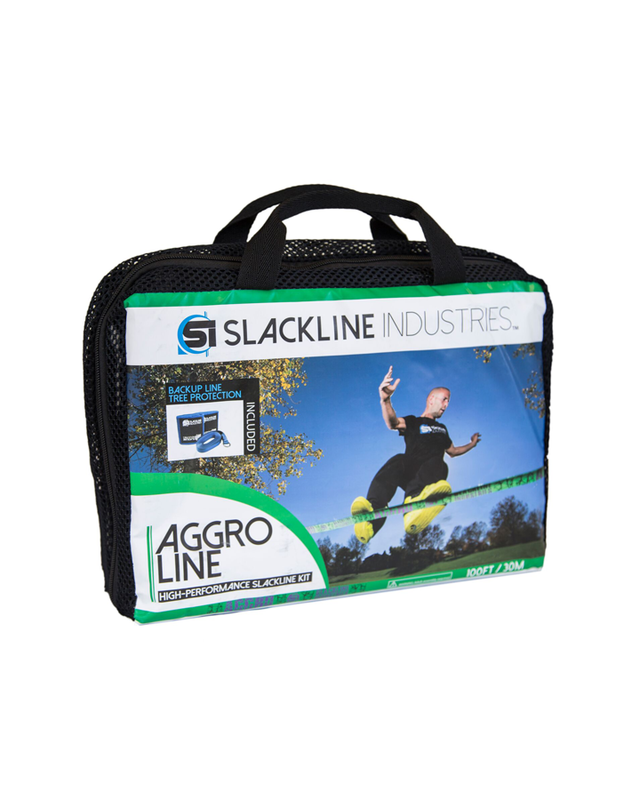 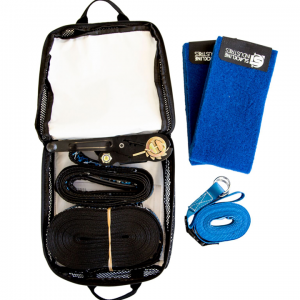 AGGRO LINE – Initially created for the pros and surf training, this 30 metre, trampoline-style line has become a favorite of slackliners at all levels. 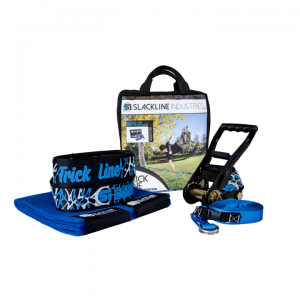 The longer length is ideal for large trees, water lines, tricks or challenging walks. 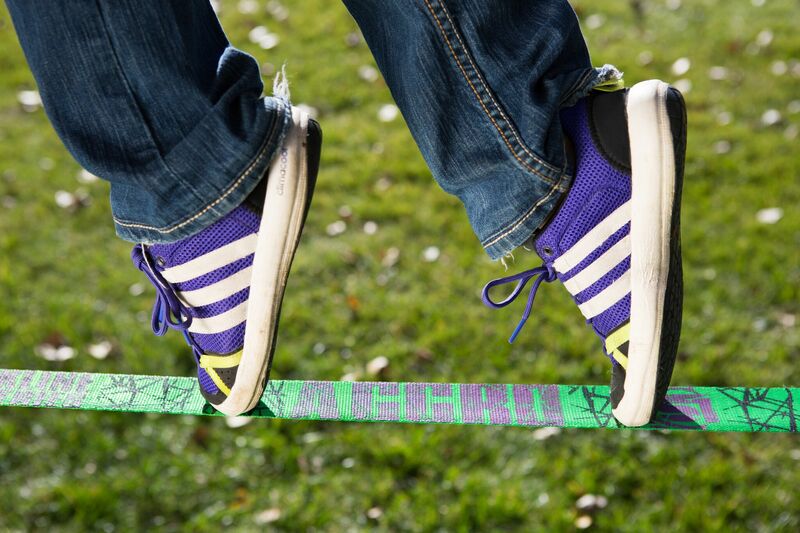 The heavy-duty ratchet allows for maximum tension and bounce at a greater distance, a custom-designed trampoline-style webbing is made for slacklining provides the extra bounce for dynamic tricks. 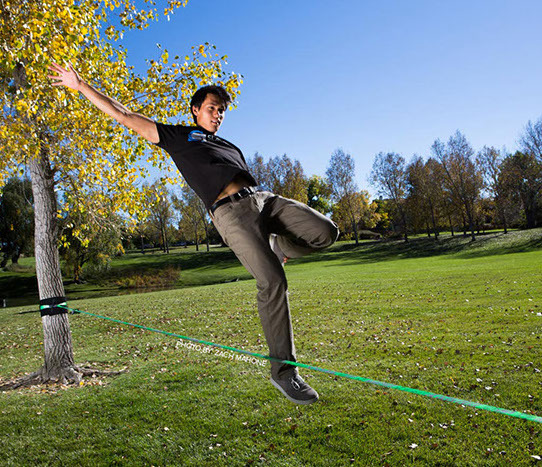 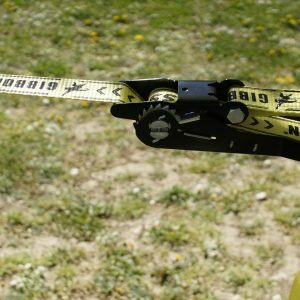 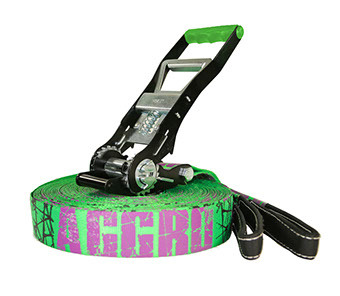 Designed to achieve dynamic movement and bounce at great distances, the AGGRO LINE is ideal for large trees, water lines, tricks or challenging walks. 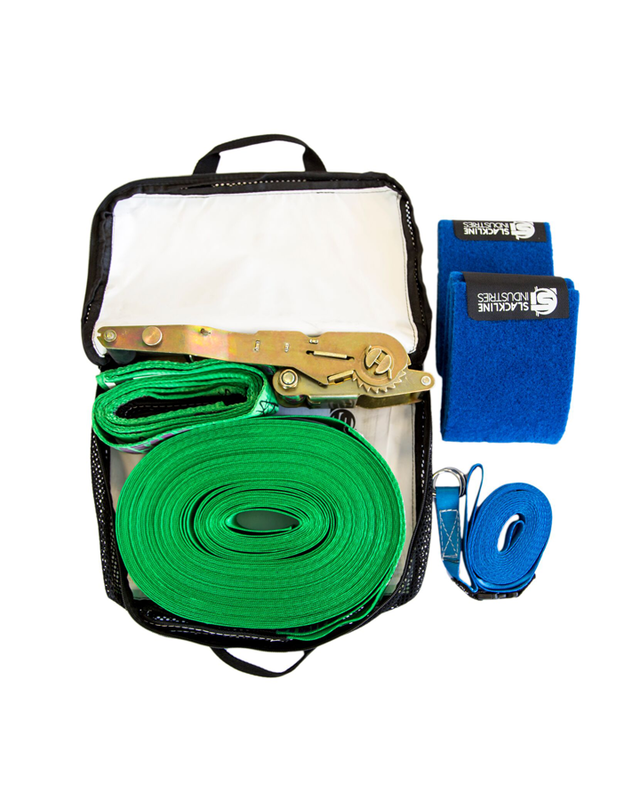 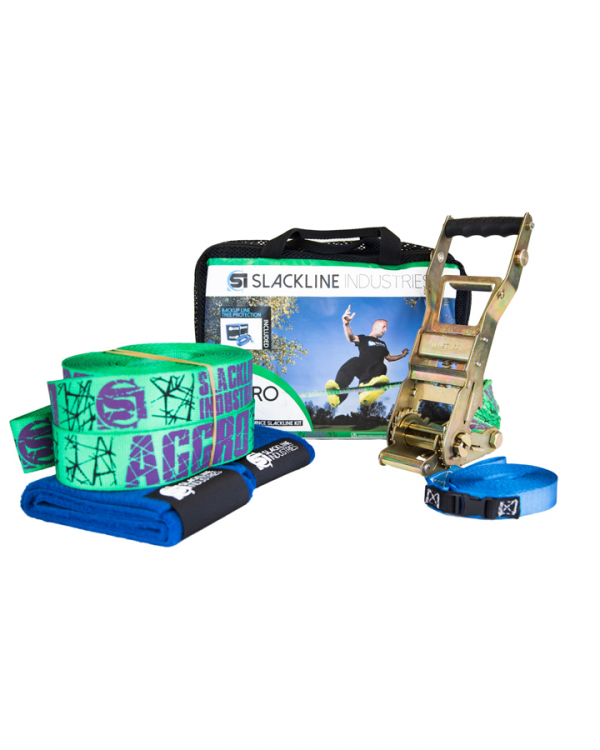 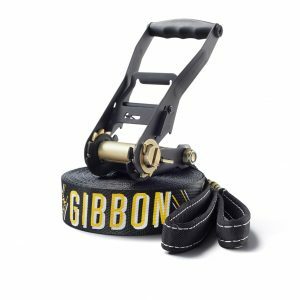 Featuring trampoline-style webbing with rubber grip, an XL ratchet with mechanical advantage at long lengths and a backup line system, this kit allows for progression to long lines and advanced tricks. Initially created for the pros and surf training, this 30 metre, trampoline-style line has become a favorite of slackliners at all levels. 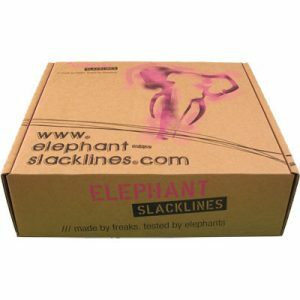 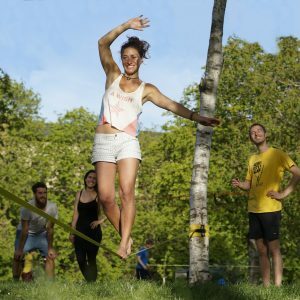 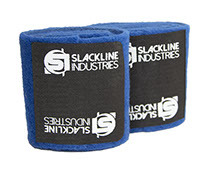 Why not giving this new Slackline brand a go in Australia?! 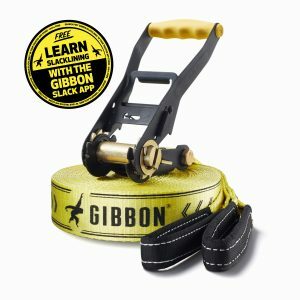 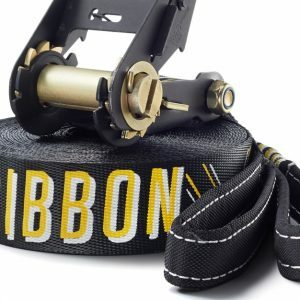 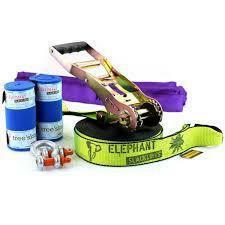 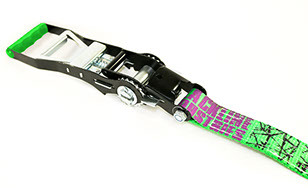 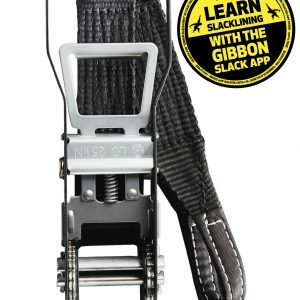 The heavy-duty, long-lever ratchet with 8 feet of static webbing and reinforced loop to firmly anchor and tension the slackline at long distances.